At LCV’s annual dinner in New York City, Lead Promotor Alexander Rodriguez addressed the crowd, sharing his story of becoming involved with Chispa Connecticut, a community organizing program of the Connecticut LCV and is affiliated with the LCV’s Chispa. As Alexander shares in his remarks, he became involved in Chispa’s Clean Buses for Healthy Niños campaign to help protect his community from the perils of toxic air pollution—perils he himself is all too familiar with as someone who has long suffered from asthma. Good evening. My name is Alexander Rodriguez. I am 23 years old and I am the lead Promotor with Chispa CT, a program of the CTLCV in coordination with LCV’s Chispa. As a kid, I loved to run – and I was fast. Track and field was my greatest passion. Until, I started experiencing difficulty breathing. I became prone to bronchitis. I developed shortness of breath. 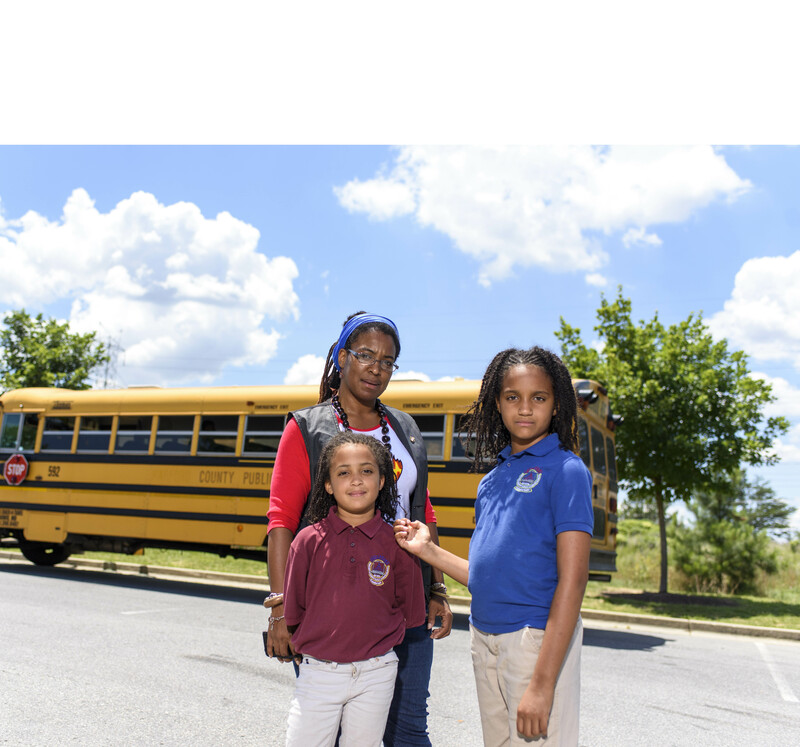 Soon, I was diagnosed with asthma – something my mother, doctors, and I believe was the result of the toxic diesel pollution I was exposed to during years of riding the bus to and from school. I required medication and an inhaler to regulate my breathing and to avoid bouts of suffocation. In what felt like the blink of an eye, track and field slipped away from me. As a young adult, I wanted nothing more than to join the armed forces and become a pilot – but, my history of asthma and respiratory illness put a roadblock between me and serving my country. Asthma had disqualified me, and I wasn’t afforded a medical waiver. Fast forward to earlier this year, when I found Chispa. Abi, another organizer with Chispa, told me about the program’s work and its Clean Buses for Healthy Niños campaign – I was instantly sold on working to protect others from the toxic air pollution that affected me. Chispa provides an opportunity to work with people like myself – who have felt the effects of climate change and pollution firsthand. And by making these personal connections to climate and one another, we are raising a new generation of environmentalists. 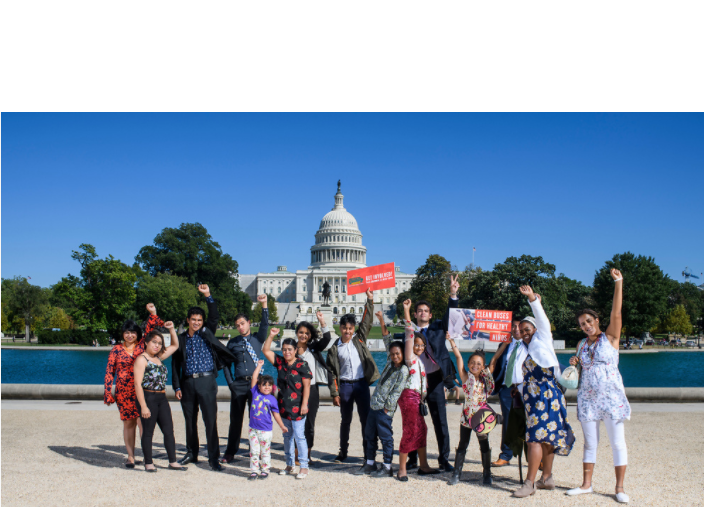 Our promotores program works with youth and young adults to hold polluters and our elected officials accountable for decisions that impact our air and water, and our community. In a time when our president and EPA administrator are doing all they can to advantage the polluter interests that have long-profited in this country, we are standing up for our communities. We refuse to be forgotten or saddled with environmental injustices. I’m proud to be a part of this work. Following Hurricane Maria, my mother was stranded in Puerto Rico. It took weeks to reach her by phone. It took a whole month to get her back to Connecticut. I felt helpless. I felt scared. I felt angry. What happened in Puerto Rico—the devastation that our president so heartlessly overlooked—is not okay. But these are they type of environmental injustices we have to tackle. In Connecticut, my friends and I are standing up. I have organized community clean-ups, voter registration drives, and gathered countless signatures toward our campaign – we want to do everything possible to protect this earth from destruction, we want to leave it a better place than the one we inherited. As I look around this room and have listened to the speakers that came before me, I feel hope. We’re electing environmental leaders across the country. We’re building a community of people care and voice those cares. It seems to me that together, we can make this a better place.